We put forth a broad range of lathe machines, which is used in various operations such as cutting, sanding, knurling, drilling or deformation. With spinning motion, the block of the material is processed in the machine via tools that are applied to create objects that are symmetrical about an axis of rotation. 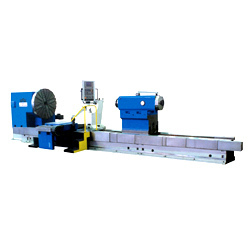 Clients may use these machines for wood turning, metalworking, metal spinning and glass working. SEEMA ENGINEERS, started in the year 1994, Deals in Buying and Selling of Used Machinery for Industrial & Engineering purposes, Both as a stockist and as well as commission basis. We are proud of ourselves about the high level satisfaction of our customers. We will provide you with an accurate and straightforward purchase experience. Dedicated in providing our customers the best of service in possible when buying and selling industrial machines.